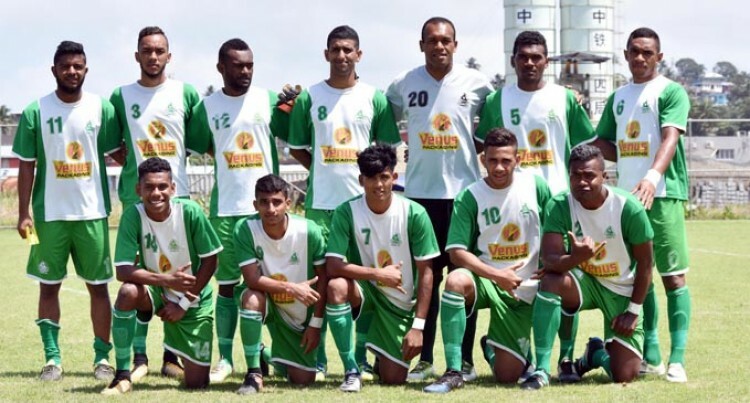 The Raymonds Football Club of Rewa will enter the Vodafone National Club Championship as underdogs, says club manager Rakesh Prasad. Prasad said they had a very young squad and was proud of their achievement. “We have a bunch of youth players and only experience player we have is our goalkeeper Simione Tamanisau,” Prasad said. He said the players had good exposure in the play offs and would carry it to final play-offs. ‘Our boys have gained some experience and exposure playing in the zonal competition and that will boost their morale in the final play-offs,” added. He said Raymonds FC was a well-known club in 90s and had featured in five finals and won once the national club championship. Despite their 1-0 loss to Navuso Barbarians in their first match, the Nigel Khan coached side regrouped and defeated League FC of Navua 3-0 to lead the points table after Navuso Barabrians lost 2-1 to League FC. League FC coach/player Nasir Ali said he was happy with his team participation despite not making it to final-play offs. He said they would go back and come out more prepared in next year’s competition.